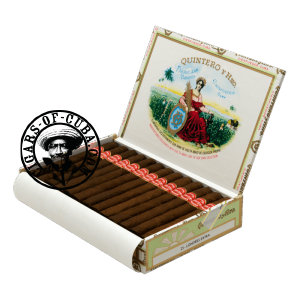 Like most Quintero's, the Londres Extra is characterized by a raw, robust tobacco taste. Earthy, grassy tones are present throughout the smoke, giving an old Havana atmosphere to this cigar. This is more of a rustic afternoon smoke for the experienced smoker looking to true Habano. The finale can be very intense. Needs to be smoked at a gentle pace.